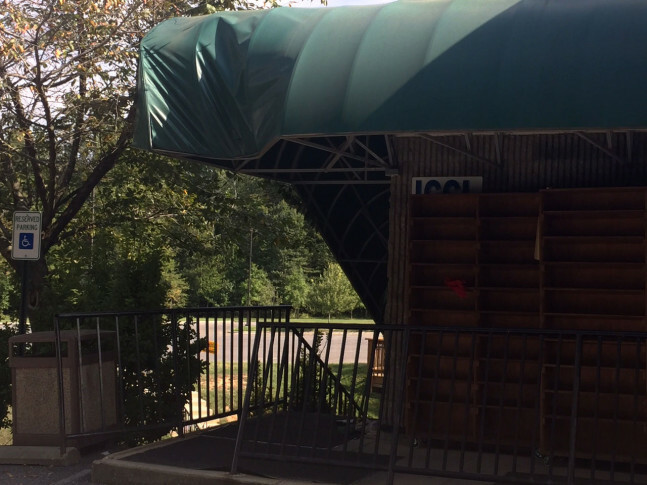 An incident in which a truck backed into an Islamic community center Monday night in Laurel, Maryland, is now being investigated as a possible hate crime, police said. WASHINGTON — An incident in which a truck backed into an Islamic community center Monday night in Laurel, Maryland, is now being investigated as a possible hate crime. Surveillance footage revealed a white tractor trailer backed into the Islamic Community Center on Contee Road at 11 p.m. Monday, according to a news release from the Laurel Police Department. The truck caused damage to the building’s awning and railings, which Islamic Community Center President Ibrahim Zuberi said may cost $10,000 to fix, according to the release. No one was inside the building at the time, and there were no reported injuries. The Council for American-Islamic Relations, a national Muslim civil rights organization, urged federal law enforcement to look into the incident, the release said. The case was originally called vandalism, Laurel police said, but was later reclassified as a possible hate crime due to new information from the Council for American-Islamic Relations. Anyone with information about the truck is asked to call the Laurel Police Department at 301-498-0092.